April 30, 2014 by Susan G.
A Happy Horse, of Course! We do everything else online these days so why not learn how to be happy by taking an online course too!? I had to think about this for a few days, and try to compute what “happy” really means. Especially to a horse. Does a horse think “happy thoughts”? I think with humans, part of the problem is we think too much. Part of being happy is to stop it. “Thinking” too much that is. At least so far as instructions in mind-training go as we are taught to let go of binding attachments to desires and things and just “be”. Yet even when taught to observe the mind as an instrument of desire, we still have wants and needs. It’s part of being human. It depends on what those wants and needs are. Do we want “stuff” or do we want to be of benefit to all beings? For a horse to be happy, does he have to stop thinking or start thinking? Perhaps with animals, it’s simply a matter of how they respond in the moment as opposed to deciding how they will do everything from selecting a partner to where they will live and work and what they will acquire that will supposedly “make” them happy. They go about their horse-business and seem to be most at peace when they’re turned out in a pasture together and can function as closely to their natural herd behavior as much as possible. The “herd” waiting to be brought in for dinner. What’s interesting about the fundamental ideas behind the “happiness course” is that they sound a lot like the way a herd of horses naturally operates. “Strong social ties”. Check. 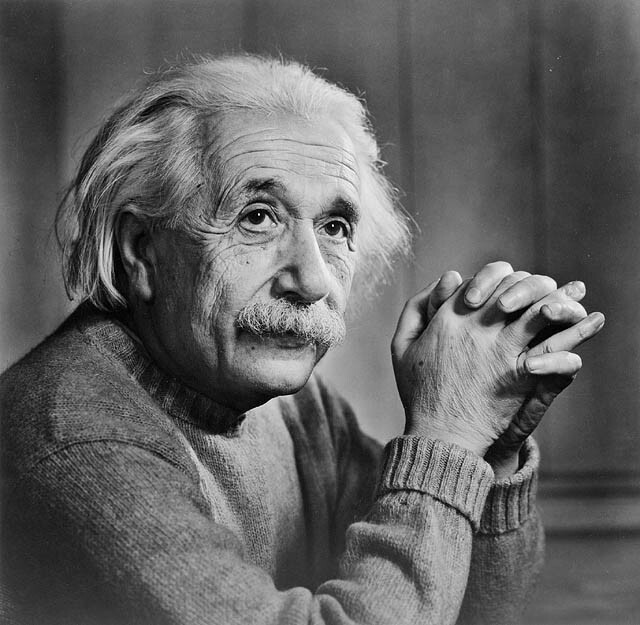 “A sense of purpose or connection to the greater good”. Check. “Reading people’s emotions”. Oh yes, horses are really good at that too. Do they have compassion? Empathy? I believe many of us who have worked with horses a long time can cite stories of horses displaying all the qualities this course teaches us about being happy. How fascinating! The course emphasizes two main (scientifically-proven) keys to happiness: Strong social ties, and a sense of purpose or connection to the greater good. For horses, that could translate to the pleasure of eating a bucket full of tasty grain or taking off across the field, bucking and playing as a delighted free spirit with the rest of the herd. Sounds similar to what humans find satisfying and joyful. Eating, playing… it appears all beings might be looking for the same thing. Can happiness-seeking take a wrong turn? I can see all the heads nodding now. This goes back to our desire for self-satisfaction and thinking we’re going to find that either through others, or through the acquisition of material goods. It looks like the online happiness course is scientifically-backed to prove there are definitely errors made in human thinking as to what will make us happy. I had a landlord once who lived right below my apartment. He and his girlfriend were generous, caring souls, but he was convinced she was supposed to “make him happy”. It’s a fragile way to maintain a human relationship. As soon as he was “unhappy” the arguments would ensue and it became an unpleasant environment not only for them as a couple, but for everyone else in the vicinity who was subjected to their unhappy behaviors. They would eventually make up and the entire cycle would start again. Horses don’t seem to have these problems. I’ve watched horses respond to other horses in distress many times. They don’t like it when a herd-member is in trouble or hurting, even if they only know the horse as a stable-mate who lives in another stall in the barn. They will exhibit signs of stress and call out to the distressed horse. Is this not a sign of compassion and empathy? I’ve seen an entire herd of pasture-mates form a procession and circle around one of their own who was dying. Is this not a sign of sentience, intelligence and compassion? I believe that amongst domesticated horses, we humans are often thought of as part of their herd. Perhaps more so by some horses than others, but I’ve seen signs of acceptance in that regard as well. It’s probably why so many people feel so protective and emotionally attached to their horses. It’s hard not see them as objects of desire and “things” that exist to make us happy, but they are so much more than that. April 20, 2014 by Susan G.
Looking at the overall picture, the typical horse owner is a married female, 45 or older, who is employed full time and has a household income of more than $50,000. Further, the proportion of horse owners ages 18 to 34 has declined from 24 percent in 2006 to 15 percent in 2009 to 11 percent in 2013, according to Brakke. So overall, Brakke has observed a gradual decline in the proportion of young horse owners. The same goes for the rate of participation in equine competitions, particularly at the local level. Since 2009, the percentage of horse owners who participate in competitions has declined from 36 to 30 percent. Competition participation at regional, national, and international levels has remained about constant; however, the proportion of these horse owners who also compete at the local level has declined by nearly 10 percent, from 84 percent in 2009 to 77 percent in 2013. And the mean amount of time horse owners spend on equine activities has declined from 20-plus hours a week to 17-plus. The big question is, why? Have more kids lost interest in horses, or animals and nature in general, because of their obsession with electronic devices? Have smart-phones and social media begun to replace the desire for activities that require them to put down the phones and pay attention to another living being? Perhaps the economy has made horse-ownership too expensive for the average family and accessibility has waned as agricultural land is converted to higher densities. Possibly all of the above. I think often of the last group of students I had. All but a couple have grown up and gone off to college, world travels, and careers. If they have access to horses they’ll ride, but otherwise it’s an activity that’s fallen by the wayside. One of the reasons I stopped teaching is because there were so few kids coming up behind them. Only one or two enthusiastic, bright eyed little girls wanting to play with the minis. Nobody wanting to put the time or money into showing. Nobody looking for a new horse. No need to look for a new horse anyway as there are plenty standing around whose owners don’t have enough time to spend with them. Too many of those in fact. I also think of all the horses who have been “sadly outgrown”, neglected, abandoned, or sent to auctions. If only they could all be matched up with the kids who still want to ride, especially for those of whom it’s an economic or accessibility issue. I don’t know what the answers are but if we want to keep the industry sustainable we need to find a way to re-engage youth and connect them back to horses. Perhaps breed associations and lesson programs will have to alter their methods for engaging a younger set of riders, finding new ways to synchronize today’s tech-oriented kids with an equestrian lifestyle. We know what kind of positive influence horses have on people. In The Compassionate Equestrian, Dr. Schoen and I have proposed new, more compassionate methods for training and handling horses that come from a base of compassion. The program begins by teaching self-compassion and mindfulness and applying compassion to one’s own life as well as to all living beings. Horses are extraordinary biofeedback units. They are so valuable in teaching people, especially young people, the benefits of becoming aware of the emotions and feelings of another being. 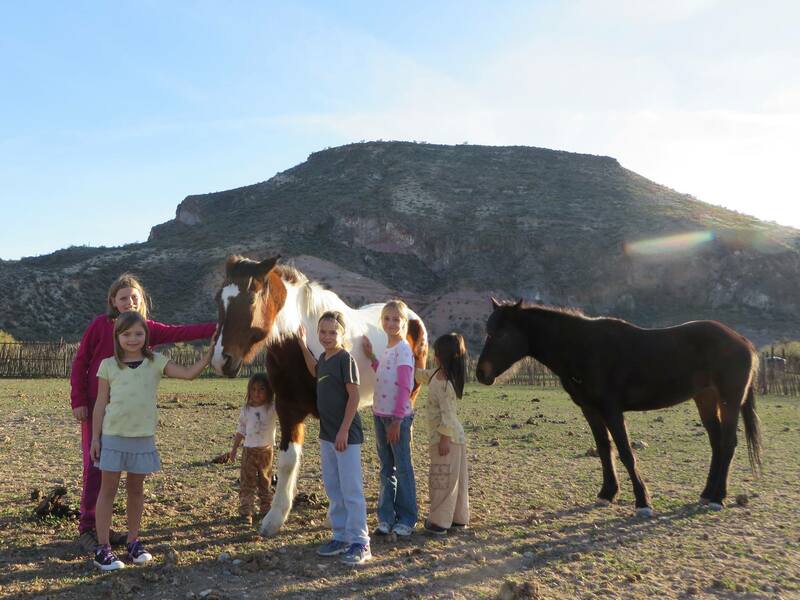 A kind of magic happens when a desperately unhappy child is brought to the country to interact with horses. A change of environment, especially from an urban area to open, natural surroundings, filled with fresh air and flooded with sunshine, can have an uplifting and calming effect, and with time, a troubled teen can begin to let go of a lot of pent-up, negative emotions. 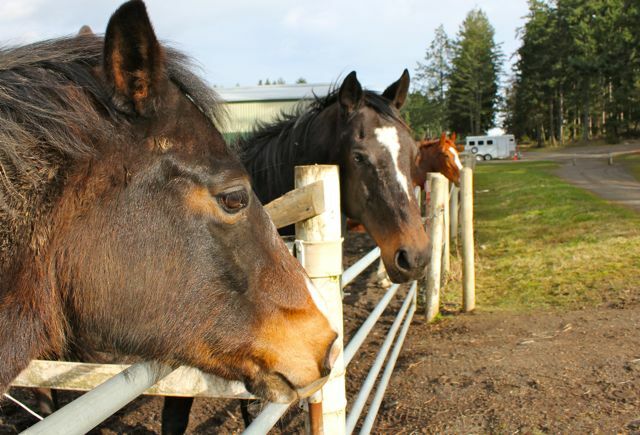 When teenagers first arrive at an equine program, they are often withdrawn and angry. Their relationships have been negative – but the relationship they will experience with a horse will be completely different from any other. Horses and other animals are completely honest in their encounters, and for many teens this will be the first interaction they have ever had in which they can honestly be themselves. It seems like gone are the days when we would see 80 or 90 kids in a junior hunter class. There’s still a handful that can compete at the big, “A” rated shows, or go to the Nationals for their breed organizations, but those numbers are dwindling too. Breeders are still breeding, and more racetracks are shutting down as thoroughbred racing continues to fall out of favor. People are more over-extended than ever in just trying to survive and manage everything. It’s no wonder horse ownership for kids is waning. Where are all the ponies, pleasure horses and thoroughbreds going to go? What will become of a young horse today that will still be around 10, or perhaps even 20 years from now? If we don’t find a way to bring a new generation of compassionate young riders and trainers to the industry, I’m very concerned as to what will happen to our domesticated horses in this rapidly changing world. I’m sure they’ll still be here, patiently waiting for their people to show up. Hoping to be taken out of their stalls for some exercise. Looking forward to having somebody to teach. I just hope we can provide them with an endless supply of new students who are willing to learn. April 11, 2014 by Susan G.
Have you ever made a list of the attributes you’re looking for in a horse (or a relationship)? Have you then gone to all the trouble to seek out exactly the horse or person of your dreams…and found them? How did things turn out? I’ve noticed something quite interesting about those “lists” over the years. My experience and observations have led to the conclusion that the more one pursues a relationship according to one’s list of “wants”, the more likely outcome is having chosen the wrong one. Why is that? First of all, whenever I went looking for the ideal horse, I ended up with a list of problems that I hadn’t anticipated. For example, my off-track thoroughbred, Dusty. I was looking for a suitable hunter-type for the 3′ amateur division. There were several I tried out, but Dusty was the breed, color, age and temperament I was looking for. He had been field-hunted after his racing career and presumably that meant he would be bold and safe over show-ring hunter jumps. I chose him over an older, better-schooled, seasoned warmblood that would have actually been the better horse for me at the time. Dusty was a problem from the get-go. We’d only had a basic soundness exam done, which he passed at the time. I was in a marriage to a horse trainer who was becoming difficult too. I’d actually sold my horse trailer in order to purchase the perfect horse. My husband’s mood swings were causing anxiety, and it was making me anxious about getting a new horse. We were in a new barn and recently married, and a long way from my previous home with my parents. I had no support system. I really wanted and thought I needed that horse! Dusty did not stay sound for long. He had a crooked spine. Interestingly, so do I. He had anxiety attacks and purposely fell down on concrete flooring. I was in an increasing state of anxiety at the time. I could probably analyze every detail of my relationship with Dusty and find some way to relate his issues to my own. He was like a mirror for my own problems. With horses, as with people, it would probably be a valuable exercise if we realized the mirroring effect at the time, but usually we don’t. That was over 30 years ago. I learned to stop looking for horses after that and just let them show up in my life. The ones that literally “dropped into my lap” were much better overall. The key? I had to let go of the attachment to my list of what I wanted. I didn’t realize the amount of suffering those attachments would cause. Looking back, and knowing what I know now, the lessons were obvious. I’ve had so many clients also make the wrong choice of horse. Often against my better advice. I don’t take commissions on sales horses as most trainers do so it’s not like my suggestions were related to money. My preference was to see the right rider on the right horse, especially given my prior experience. People still purchased the wrong horse, probably for reasons similar to why I bought Dusty. You don’t even realize what’s happening or why. Razzberry Zam. An off-track thoroughbred who “dropped into my lap” as a sales project. One of the most wonderful horses I’ve ever had the opportunity to ride. So wonderful, in fact, he sold quickly. His new rider was the right person for him and a massage therapist to boot. Love, compassion and no attachment. I felt it with this horse and although sad to see him go, it seemed like the gratitude with which we approached each other had a most beneficial outcome for us both. Then I learned about non-attachment. Ah ha. The “list” is all about what we’re attached to, whether it be in a person or a horse. Buddhism teaches that attachment leads to suffering. Yes. I’m proof of that. I’m sure many of you are too. Those attributes we want so badly, or think we do, in a horse or in a relationship with another human, are exactly the attributes that will bring us suffering when things don’t turn out as we wish. The perfect jumper goes lame. Our perfect spouse sustains a head injury and his personality changes. The horse ages and can no longer jump. The husband decides he prefers a younger woman. Are we still as excited about that horse or that person as we were when they fit our list of “wants”? Can we have compassion for them when they no longer fulfill our desires, or if they’ve hurt our feelings? Letting go of the attachments, especially an attachment to any outcomes, is a worthwhile practice. The other is self-compassion… the desire to alleviate your own suffering, knowing that suffering comes from attachment. I’ve found that letting go and living with a tremendous love and gratitude for all of life opens the door for loving and grateful relationships to return to you. The surprise is that those who come into your life may not be anything at all like the list you’ve made. The thoroughbred of your dreams might manifest as a scruffy little pony who needed to be rescued from somebody’s back-40, but that little pony could just end up being the best jumper you’ve ever had. If you do go looking for a new horse (or person), my final thought on the matter is to first, ask yourself why you want this being to come into your life. Where are you with your self-compassion? April 4, 2014 by Susan G.
As I’m reaching the final chapters on the first-edit of The Compassionate Equestrian, I’ve been thinking a bit more about Chapter 25 – Birth to Completion Life-Cycle Tracking. This is a new term and a new idea for the equine industry at large. It is also the key reason why I began writing about compassion and horses. When I was in film school several years ago I was doing research for my student documentary about rehabilitating off-track thoroughbreds. I went to the nearby riding club, a long-established community of primarily hunter/jumper and dressage barns, to look for a good story. I was in luck. 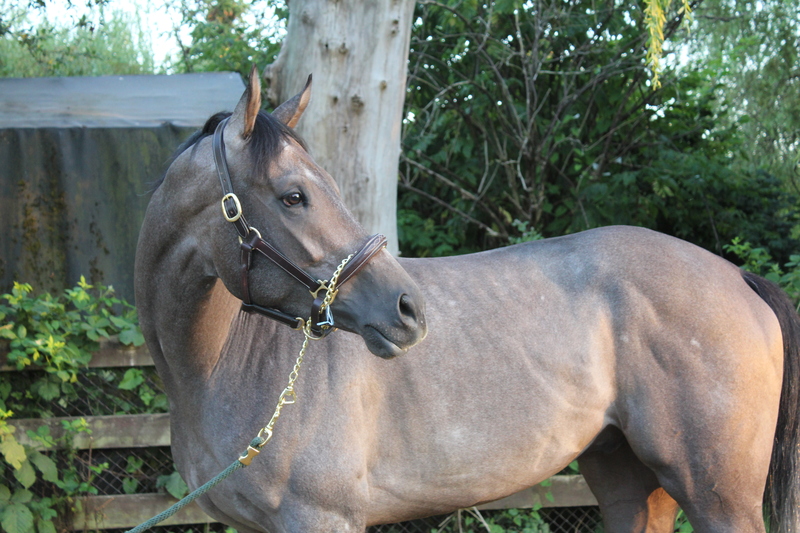 I discovered a trainer who had just purchased a 3-year old tall, handsome, grey gelding from a stable at Vancouver’s race track, Hastings Park. He had a slight injury on one tendon, probably sustained in his final race, which he had won. The short video I produced was only a superficial hint at the legitimately dark side of thoroughbred racing. I wanted to slant the story to the happier endings of fortunate ex-race horses who find their way to a caring home and a chance at a second career. When the film instructor saw my rough cut, he immediately focused on the more contentious tidbits and told me I had to bring more “conflict” to the short documentary. “That’s what makes a good doc” he said. Me, being the non-confrontational, non-argumentative type, cringed at the idea but proceeded with further research anyway. All I can say is that what I found out about the “deep, dark” side of the horse industry shocked me. Even as a professional trainer all these years, I had no idea how many horses were ending up in slaughterhouses every year, and why. I had no idea how horribly horses were treated once they left the auction houses or race track. I made myself look at the reports and videos on the Canadian Horse Defence Coalition website. Most horse-people will not want to see this side of our industry, but I believe they need to. My eyes were definitely opened. Not only that, but my heart went out to all of the world’s homeless horses to the point that I felt overwhelmed and somewhat helpless at not being able to help them all, relieving them of a potentially terrifying completion to their lives. Over 100,000 a year in fact. Really??!! Where are all these horses coming from? I’d also found a very knowledgeable researcher who gave me a plentitude of information to mull over and include in the bigger film I was determined to produce. The more I spoke to her, and the more I learned about homeless equines and their fate, the more I realized I would need a massive legal team to protect both myself and sources from the underworld of cabals that make their living on the acquisition and sales of unwanted horses. So I shelved the film and looked for other ways I could help educate and enlighten the horse industry. Then Dr. Schoen and I met in 2012 and through our dialogues, began writing the 25 Principles of Compassionate Equitation, followed by the book, which will be released in the spring of 2015. While working on the outline for the documentary I befriended a couple of extraordinary advocates for equine welfare. They have both been on the “front-lines” of the worst of the worst kind of treatment you can image horses having to endure. Most of us who love horses couldn’t possibly deal with what they have seen. They are my heroes. Brogan Horton is in her twenties and runs Animal Rescue Unit at her home in Maine. Brogan is the kind of person who will put on a suit and lobby Congress on behalf of the wild burros and mules, or hook up her horse trailer and spend her last few dollars to go pick up a horse in need of rescue. Animal Rescue Unit is an organization dedicated to revealing the truth about animal suffering, specializing in investigation, rehabilitation, education and legislation for animal welfare. The following link is one of many heart-warming stories from ARU, and one with a very happy ending. Further links to ARU information are included in the article, and Brogan can be found on Facebook for anyone interested in following her activities and if possible, helping with donations for the rescued animals. The other hero is Brogan’s former partner in another very intense animal welfare investigation organization, Richard Couto of Animal Rescue Mission. Both Brogan and Richard are well trained and have been on some of the more dangerous missions regarding equine welfare. Most of us in the horse world have no idea what goes on behind the fences and walls around illegal slaughter farms in Miami. Nor would most of us want to know. It’s cruelty to animals beyond our comprehension. Richard became the exceptional cruelty investigator he is today after rescuing a thoroughbred ex-racehorse from one of the illegal farms. 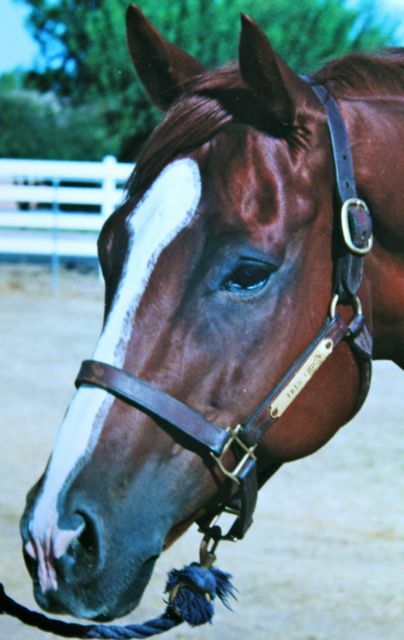 The horse, Freedom’s Flight, is a descendant of Secretariat. Richard found him tied to a tree at the farm, next in line for a terrible demise. So in The Compassionate Equestrian, Dr. Schoen and I are doing our best to use language that inspires, unifies, and opens the hearts of equestrians. We are coming from many years of experience in our collective fields and understand how easily one person’s opinion can immediately send another person into a defensive mode. Or how upsetting some of these more difficult issues can be. We also understand that people don’t want to discuss death, so we refer to the “completion” of life. It’s why Principle 25, which recognizes “the importance of applying the Cradle-to-Cradle model of life-cycle assessment and tracking to the equestrian industry” – has been left to the end of the book. 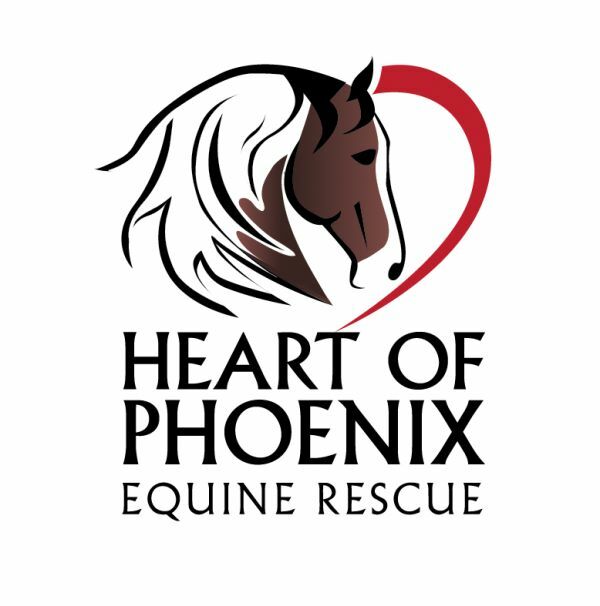 Chapter 25 is also still largely unwritten as we structure the program and gather further information as to just how it could be applied to help the “global herd” of horses in need. There isn’t an easy way to convey this information to a generally loving, compassionate community of horse-people who are active on a day-to-day basis with these beloved animals. It’s our belief that every human has the opportunity to be compassionate towards all beings, and that compassion just needs to be awakened. In the hardest times, in the most difficult circumstances, and in facing the darkest side of humanity…that’s when extending compassion may become extremely challenging. It’s the purpose of The Compassionate Equestrian and The 25 Principles of Compassionate Equitation to assist in the compassionate awakening of horse-people everywhere. We hope that through their own personal practices, they will be able to see the need for compassion to be extended to all horses, and everyone who’s involved with them. With such mindfulness, we can come together as a world-wide community and find a way to become heroes for horses ourselves.